Figure 8.4. Application of Eq. (8.24) to the flour beetle model in which 2(n) = b0(n + 8)exp(- b1 n) and ^(n) = d1n with b0 = 0.13, b1 = 0.0165, 8 = 1, d1 = 0.088. (a) No catastrophes. Note the rapid rise in persistence time;(b) rate of catastrophes c = 0.01 and q(y\n) following a binomial distribution with probability of death p = 0.5;(c) c = 0.025, p = 0.5; and (d) c = 0.05, p = 0.5.
population ceiling is 50 or 300 has little effect on the predictions in the absence of catastrophes, but more of an effect in the presence of catastrophes. This theory is nice, easily extended to other cases (see Connections), reminds us of connections to matrix models, and is easily employed (and easier every day). However, it is also limited because of the assumption about the nature of the stochastic fluctuations that affect population size. In the next two sections, we will turn to a much more general formulation, and investigate both its advantages and its limitations. We now turn to a formulation in which there is no density dependence and the fluctuations in population size are determined by Brownian motion (Lande 1987, Dennis et al. 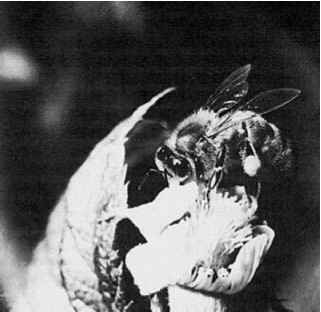 1991, Foley 1994, Ludwig 1999, Saether et al. 2002, Lande et al. 2003). As with the method of MacArthur and Wilson, this method is easy to use, but also requires some care in thinking about its application. for which we will assume the range of N(t) is 0 (corresponding to 1 individual) to a population ceiling K. (An even simpler case would be to assume that r = 0, so that the logarithm of population size simply follows Brownian motion; see Engen and Saether (2000) for an example). The notation is a little bit tricky - in the previous section N represented population size, but here it represents the logarithm of population size; I am confident, however, that you can deal with this switch. The great advantage of Eq. (8.27) is that the data requirements for its application are minimal: we need to know the mean and variance in the increments in population size. These can often be obtained by surveys, which need not even be regularly spaced in time (although when they are not, one needs to be careful when estimating r and v). with which we associate the boundary condition T(0) = 0 (remember that, because we are in log-population space, n = 0 corresponds to one individual). We know that a second boundary condition will be needed and we obtain it as follows. If the population ceiling is very large, then following logic we used previously, we expect that T(K)« T(K + e), where e is a small number. If we Taylor expand to first order in e, the condition is the same as the reflecting condition (dT/dn)|n = K = 0. Before discussing the solution of Eq. (8.28), let us reconsider Eq. (8.27) from two perspectives. The first is an alternative derivation. Recall that X(t) is population size, so that if we assumed that there are no density dependent factors, we have in the deterministic case dX = rXdt or (1/X)(dX/dt) = rdt, from which Eq. 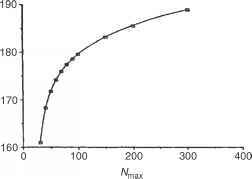 (8.27) follows if we set N = log(X) and assume that r has a deterministic and a stochastic component. We can read off directly from Eq. 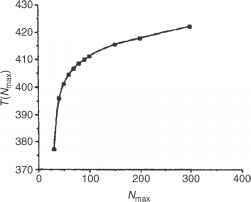 (8.29) the mean and confidence intervals for N(t). In the course of his work on the endangered Alabama Beach Mouse (Peromyscws ^o//onotws ammobates), my student Chris Wilcox developed data appropriate for Eqs. (8.27)-(8.29) and kindly allowed me to use them (Figure 8.5). 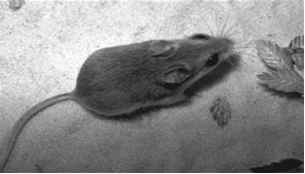 This mouse is found only along the coast of Alabama, USA, in sand dunes and threats to its persistence include development of the coast and periodic catastrophic storms. In Figures 8.5b and c, I show the projections of the mean and 95% confidence intervals for population size at two different sites in the study area. In one case the mean population size shows an increasing trend with time, in the other a decreasing trend (Chris worked at two other sites, which also showed similar properties). Notice, however, that the confidence intervals quickly become very wide - which means that although we have a prediction, it is not very precise. It is data such as these that caused Ludwig (1999) to ask if it is meaningful to estimate probability of extinction (also see Fieberg and Ellner (2000)). with the boundary conditions that we discussed before (T(0) = 0 and (dT7dn)|n=K = 0).